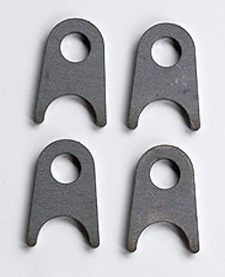 Commonly used for ladder or 4-link style swingarms. 3/16" Thick Mild Steel with 12mm Hole. Sold in package of four pieces.